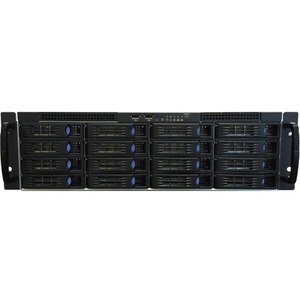 The Reef Server Line offers Tower, 2U, 3U, and 4U VMS-independent surveillance servers equipped with enterprise-grade Intel Xeon v4 processors and surveillance-grade hard drives offering up to 96 TB of total storage. Accommodating 32 to 64 IP cameras, the Reef Server Line is popular in professional surveillance environments. Featuring a 4 or 6 core Intel Xeon v4 processor, hardware RAID, and surveillance-grade hard drives, the Reef Server Line offers an economical solution that provides enterprise redundancy and storage.